Fremont County, WY – Wyoming’s largest Powwow, the 60th Eastern Shoshone Indian Days, has been moved one week earlier to June 21st – 23rd with the first grand entry at 7 p.m. on June 21st. The 3-day event kicks off with a Boys & Girls Club Youth Contest Powwow Thursday, June 20, at 7 p.m.
Join the Northern Arapaho tribe at one of their powwows this summer. The Ethete Celebration is July 26-28 and the 65th Northern Arapaho powwow is August 30-September 1. These powwows are free and open to the public. If you can't attend one of the powwows plan to attend a weekday dance performance. See the Northern Arapaho Song & Dance at the Wind River Hotel and Casino in Riverton every Tuesday night at 6 p.m. and the Eagle Spirit Dancers in Lander at the Museum of the American West Wednesday evenings at 7 p.m.
You’ll meet the dancers, learn about the dance styles and can join in the Circle or Friendship Dance at the end. 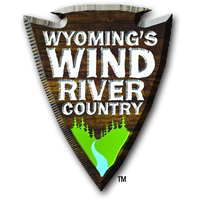 Learn more about the communities on the Wind River Indian Reservation. Go beyond Yellowstone to Wyoming’s Wind River Country. This is authentic Wyoming, where the landscape and lifestyle provide room to breathe. Access world-class playgrounds for fishing, rock climbing, snowmobiling, hiking, and much more. Open the doors to the past on South Pass, the gateway to the West. Uncover an art scene that will surprise and inspire you and learn about Native American culture on the only Indian Reservation in the Cowboy State. Find more inspiration at WindRiver.org. Follow us on Facebook and Instagram. Read more of our news here.